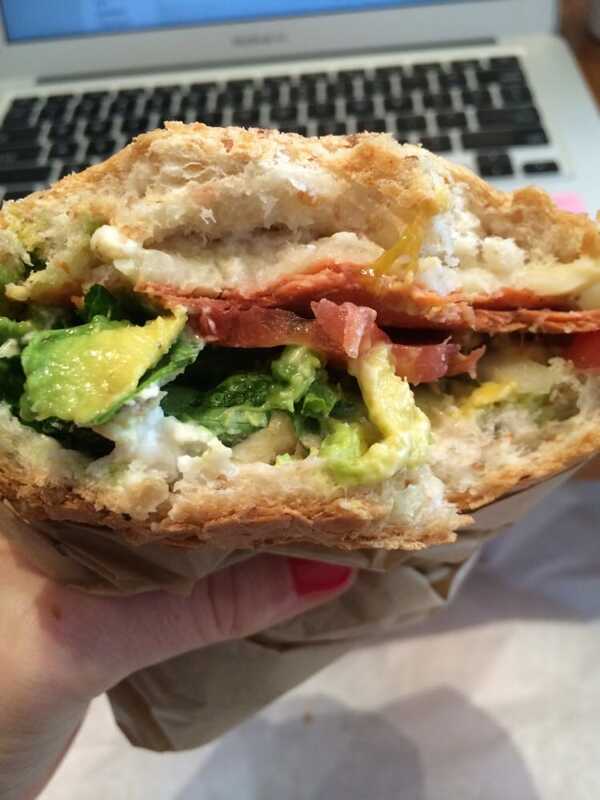 This above all: to thine favorite sandwich be true. Okay, so that’s not exactly what Polonius said in Shakespeare’s famous play, Hamlet, but if we’re sure about anything, it’s that Americans really love their sandwiches. According to an old study conducted in the Journal of the Academy of Nutrition and Dietetics, a staggering 49 percent of Americans will eat at least one sandwich on any given day. At least. 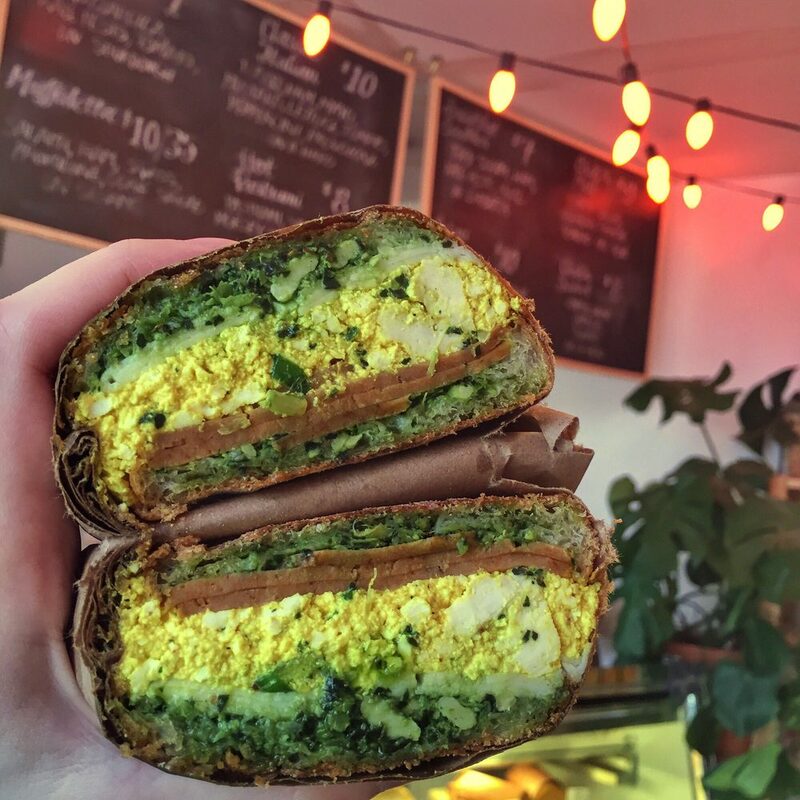 Rather than try to pinpoint exactly what makes sandwiches so appealing (we could go on indefinitely), we decided to focus our energy on determining just where in the United States you can get your hands on the best plant-based sandwiches to nosh on. Because one in ten Millennials now identifies as vegan or vegetarian, more and more restaurants and grocery stores are beginning to stock plant-based alternatives to meat and dairy. Buying ingredients to build your ideal vegan sandwich, or finding a cute location to pop in a buy a quick plant-based sub on your way to work, has never been easier. We’ve created a guide of our top recommendations for vegan delis and eateries that specialize in delicious plant-based sandwiches below, and have broken it up into cities for your convenience. From breakfast sammies to plant-based Cubans, we have you covered. Let us know which ones you love, and which ones we missed! Bouldin Creek Cafe is an eco-friendly, bohemian cafe in Austin, Texas, known for its hearty meatless meals. Their Vegan Beet Stuffed Reuben Sammich featured shredded grilled beets, a layer of kale and cabbage kraut, and is smothered in melted vegan cheese. The above photo is one of their special concoctions when they were honoring Grilled Cheese Month, and was made with vegan cheese! We recommend checking out these vegan cheeses if you’re in the market for some new treats, or assembling this Southwestern Grilled Cheese Sandwich if you feel like making one from home. Otherwise, you can visit Bouldin Creek Cafe at 1900 S 1st St, Austin, TX 78704. If you’re craving vegan comfort food, you need look no further than WaterCourse Foods in Denver. WaterCourse switched from a vegetarian to an all vegan menu in 2014, and has been recognized as one of Food & Wine’s best vegan/vegetarian restaurants in the USA. Their bounty of sandwiches is seemingly endless: from BBQ Pulled Jackfruit buns to plant-based Cubans and Blackened Caesar Wraps, you’re sure to find a satisfying vegan sub. If you want to make your own Caesar-inspired sandwich, we recommend trying out this Baked Tofu Caesar Sandwich. Otherwise, visit Watercourse at 837 E 17th Ave, Denver, CO 80203. Have you been to a Loving Hut before? There are multiple outposts of the vegan counter-serve chain with Asian-accented menus that vary by location throughout the United States. The mission behind Loving Cafe is to offer its patrons healthy and affordable vegan cuisine, and they succeed wildly. 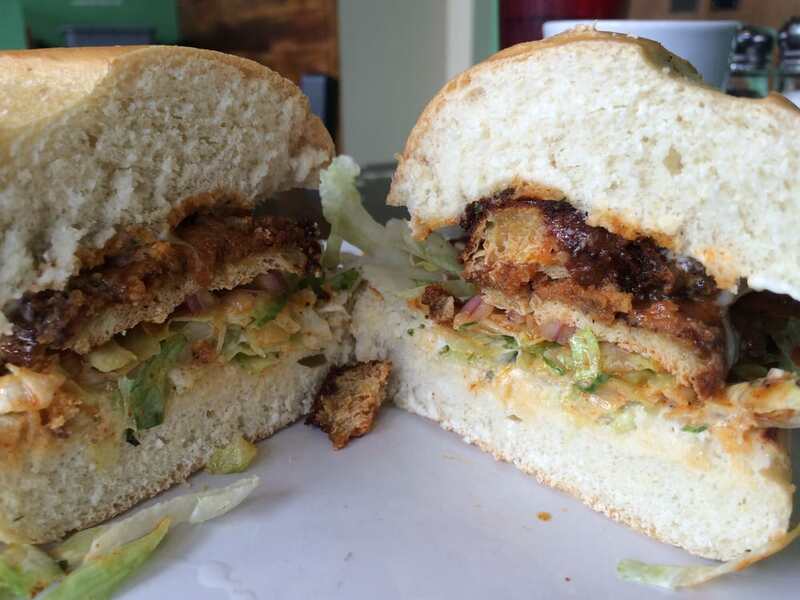 From their Seitan Panini, which is stuffed with vegan cheese, seitan, vegan mayo, coleslaw, pickles, and banana peppers, to their Vegan Sloppy Joe (yes, it exists! ), Loving Hut has a sandwich for every appetite. If you want to try making your own sandwich, we recommend these Slow-Cooker Sloppy Joes. Otherwise, visit them at 6227 Montgomery Rd, Cincinnati, OH 45213. 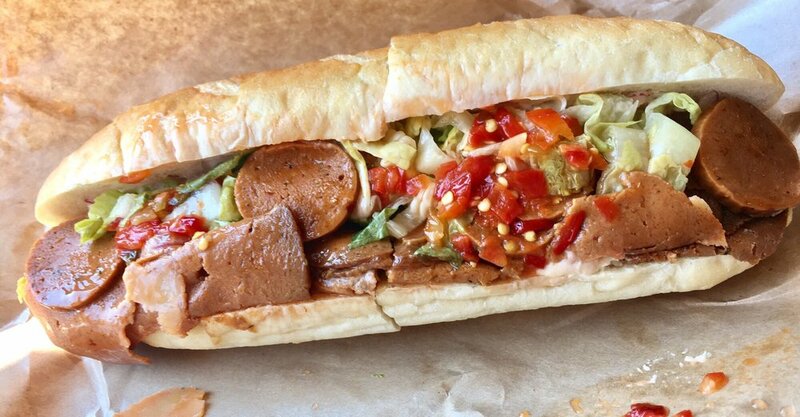 The only deli slices you’ll find at The Herbivorous Butcher are loads of veggies and plant-based meats, even though their menu features hand-cut salami, Sriracha-flavored bratwursts, meatballs, and more. The Herbivorous Butcher is a cleverly named family-owned 100-percent vegan market that serves fully cooked, meat-free “meats” and “cheeses.” Their daily menu changes, but they always have a variety of plant-based jerkies, sausages, kinds of bacon, hams, turkeys, and ribs to purchase, as well as a variety of sliceable vegan cheeses. Interested in making your own plant-based meats? We recommend trying these Tempeh Meatballs or even these Cauliflower and Walnut Ground ‘Meat’ recipes out. Otherwise, go visit Herbivorous Butcher at 507 1st Ave NE, Minneapolis, MN 55413. Orchard Grocer is an all-vegan deli and food market inspired by the delicatessens of New York’s past. Located on the Lower East Side of Manhattan, the 100 percent palm oil-free shop specializes in hearty sandwiches, homemade soft-serve, hard-to-find pantry items, and hard-to-resist snacks. 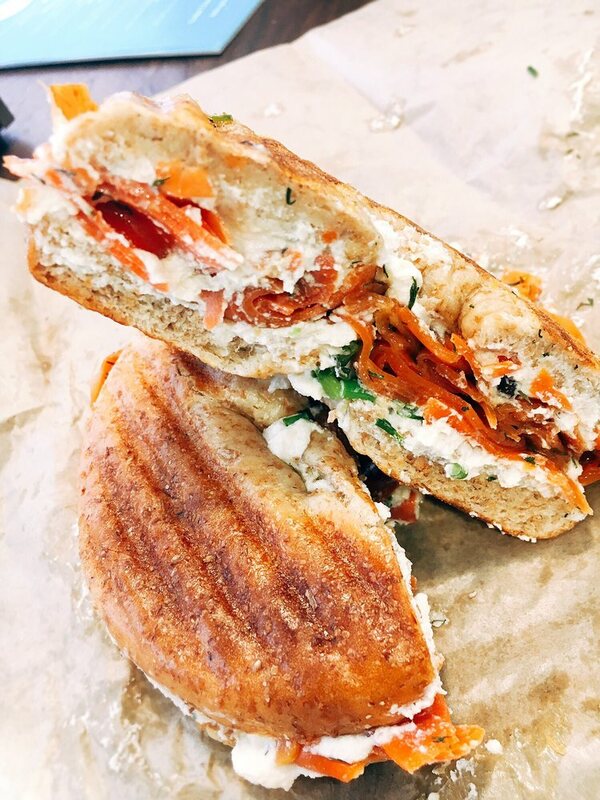 We go crazy over their “Edith” sandwich above, which is made with carrot lox, but any of their vegan sandwiches is sure to hit the spot. If you want to make your own smoked bagel meal, we recommend this Bagels With Tomato Lox and Cashew Cream recipe. Otherwise, feast at the Orchard Grocer at 78 Orchard St, New York, NY 10002. Haymaker’s Corner Store bills itself as Brooklyn’s first and only all-vegan grocery store. They serve plant-based meats, cheeses, and New York-style deli dandwiches, all made in house, and also host a monthly all-vegan marketplace on Sunday afternoons, which features local vendors delicious plant-based treats. The tiny shop is a much-beloved gem in Williamsburg, Brooklyn, and we highly recommend their housemade Chik’n Salad sandwich with lettuce, tomato, and vegan mozzarella if you’re in the neighborhood. You can try to make your own Curried ‘Chicken’ Salad Sandwich with this recipe, and also go visit Haymaker’s Corner Store at 176 Ainslie St, Brooklyn, NY 11211. 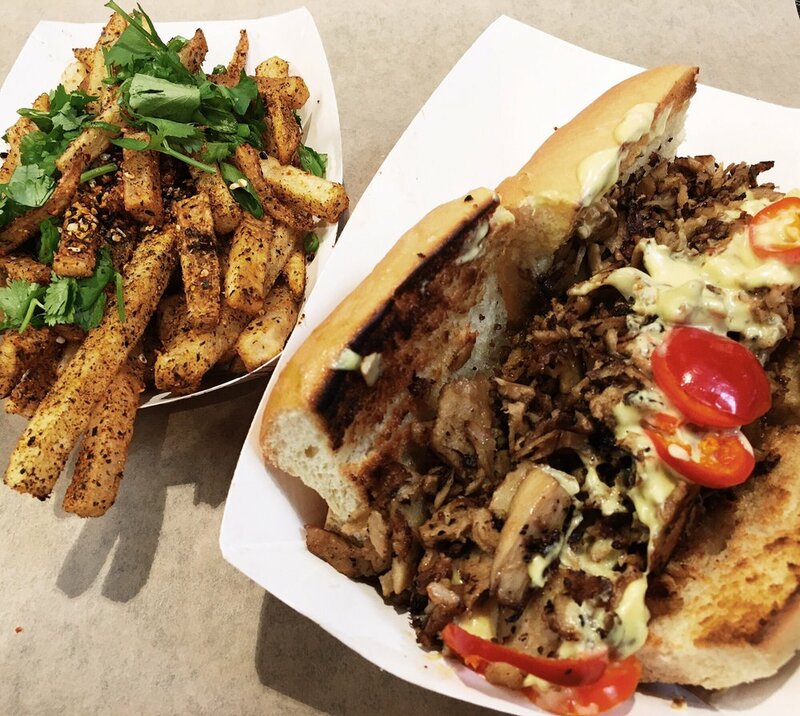 Brought to you by the same vegan maven behind Vedge and V Street, Rich Landau’s Wiz Kid Food is a hip, colorful counter-serve restaurant that specializes in plant-based subs such as vegan cheesesteaks and sandwiches. They serve a “wiz” made out of tangy rutabaga-and-tofu fondue that gives traditional cheese sauce a big run for its money. Wiz Kid also serves beer, wine, and cocktails. If you’re into making your own vegan cheesesteaks, we recommend this Philly Tofu Cheesesteak With Portobello Mushrooms recipe, found on the Food Monster App. Otherwise, visit Wiz Kid Food at 2001 Pennsylvania Ave Philadelphia, PA 19130. Papa G’s Vegan Organic Deli is a counter-serve vegan cafe offering many organic hot dishes, plus a salad bar, in cozy, low-key digs. 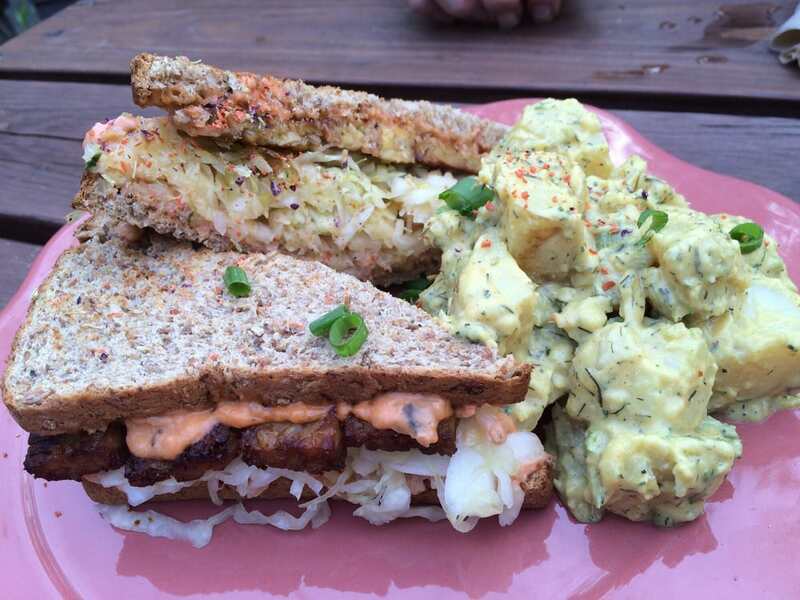 Their deli menu includes the dish they are known for — a killer plant-based Reuben sandwich that features seasoned tempeh strips, house-made 1000 island dressings, and their special raw sauerkraut. It’s served with organic corn chips and has us wishing we were in Portland right now. If you want to try to make your own plant-based Reuben, we recommend this gluten-free Tempeh Reuben Sandwich recipe. Otherwise, do yourself a favor and visit Papa G’s at 2314 SE Division St, Portland, OR 97202. D.C. Vegetarian is an all vegetarian and vegan food cart in Portland, because come on; we couldn’t talk about Portland and not feature at least one truck or cart. It’s what the city is known for! 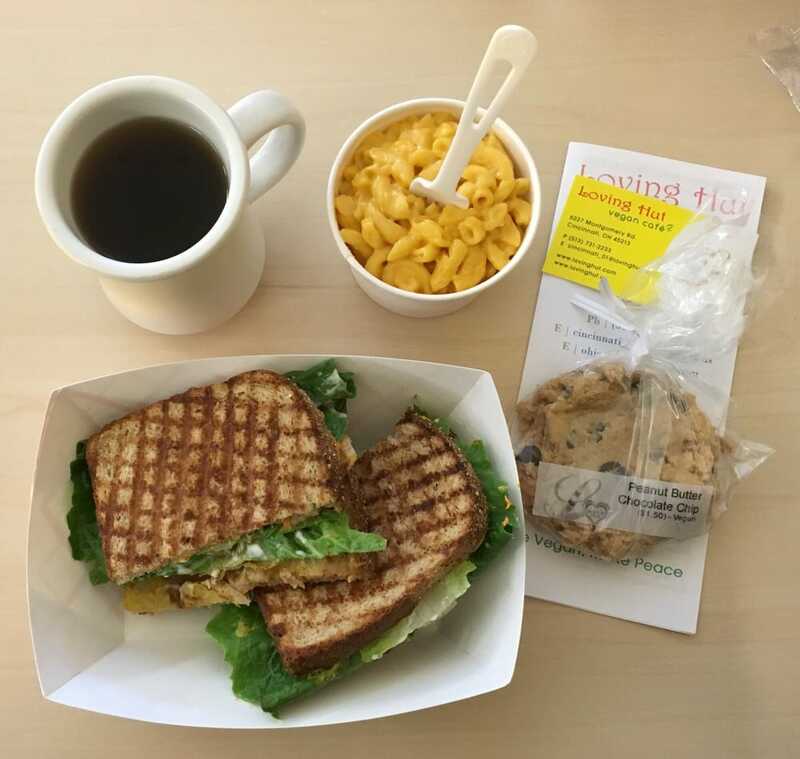 Their menu includes burgers, subs, vegan grilled cheeses, grilled peanut butter sandwiches, plant-based chicken salad sandwiches, vegan bacon cheeseburgers, and more. Chu Minh Tofu is a casual Vietnamese vegan restaurant offering both buffet and à la carte options, plus boba and smoothies. 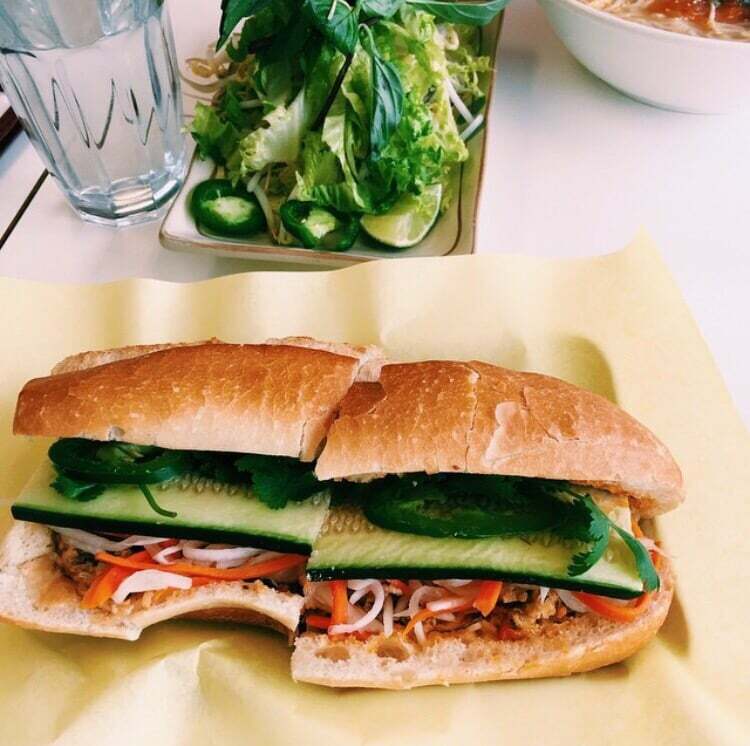 We’re all about their authentic and utterly tantalizing vegan banh mi sandwiches. The layers of texture, flavor, and love that go into one of these beauties are sure to stay with you long after you savor your last bite… and then go back and order another one. Want to make your own Banh Mi sandwich? We recommend trying this recipe out for Tofu Banh Mi Sandwiches. Otherwise, visit Chu Minh Tofu at 1043 S Jackson St, Seattle, WA 98104. Wayward Vegan Cafe proudly serves veganized American diner style food to its loyal Seattlites. It is known for its casual counter-service, its large portions, bottomless coffee, all-day breakfast and lunch menus, as well as for its friendly service. Their sandwich menu includes plant-based gyros, chipotle “chicken” clubs, pitas, meatball subs, mac and cheese burgers, and more. If you want to make your own vegan gyros, we recommend trying out this recipe for Tempeh Gyros With Tofu Tzatziki. Otherwise, work up a healthy appetite and then visit Wayward Vegan Cafe at 801 NE 65th St, Seattle, WA 98115. The Butcher’s Daughter is a plant-based restaurant, cafe, juice bar and “vegetable slaughterhouse.” The eatery treats fruits and vegetables as a butcher would meat: they chop, fillet and carve fresh produce into healthy vegetarian dishes and press them into pretty juices. There are three Butcher’s Daughter locations, and all of them serve breakfast, lunch, dinner and weekend brunch. They also proudly tout their daily-changing menu, which is 100 percent vegetarian, and mostly vegan and gluten-free. Visit their Venice, California location at 1205 Abbot Kinney Blvd. Venice, CA, 90291. 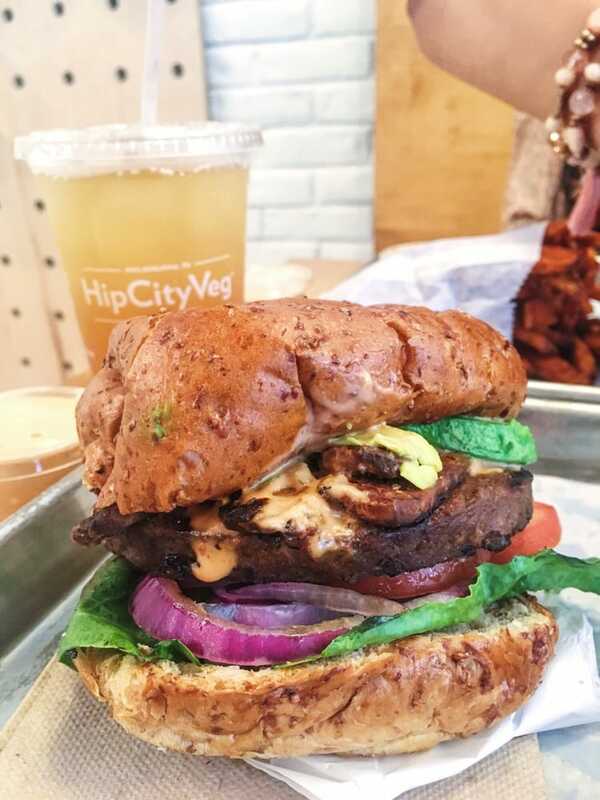 HipCityVeg is out to prove that vegan fast food is possible, and also doesn’t have to be harmful to your health. It features a fast food-inspired menu with fresh, often local and organic ingredients that help you treat your body well because the eatery uses 100 percent organic non-GMO soy ingredients. You can find them and their delicious burgers and sandwiches at 712 7th St NW Washington, DC 20001. If you don’t have any vegan eateries or shops in your area that sell vegan deli slices or assemble amazing plant-based sandwiches and subs, don’t fret — we here at One Green Planet have your back! First, check out this Ultimate Guide to Vegan Meats and Meat Substitutes to accumulate some knowledge on different plant-based meats. You’ll be able to make all different kinds of vegan sandwich recipes from there. From this Crispy Kohlrabi Sandwich to this chewy and hearty Grilled Chicken of the Woods Sandwich, there’s no end to what kind of plant-based goodness you can come up with. More of a wrap person? Why not assemble this Kale, Red Cabbage, and Lentil Salad Wrap, or these “Honey” Garlic Roasted Chickpea Wraps? Need something more filling? Then this Beanball Sub Sandwich With Marinara and Greens. The point is, no matter what you crave, you can make it. For more plant-based deli meat and sandwich inspiration, we recommend checking out Food Monster app, a food app available for both Android and iPhone. The app has over 8,000+ vegan recipes with 10+ recipes added daily as well as cooking tips. You’re going to find something you love. Give it a try!